5 Gauge Wire Mesh Decking. 2" x 4" Wire Mesh Openings. 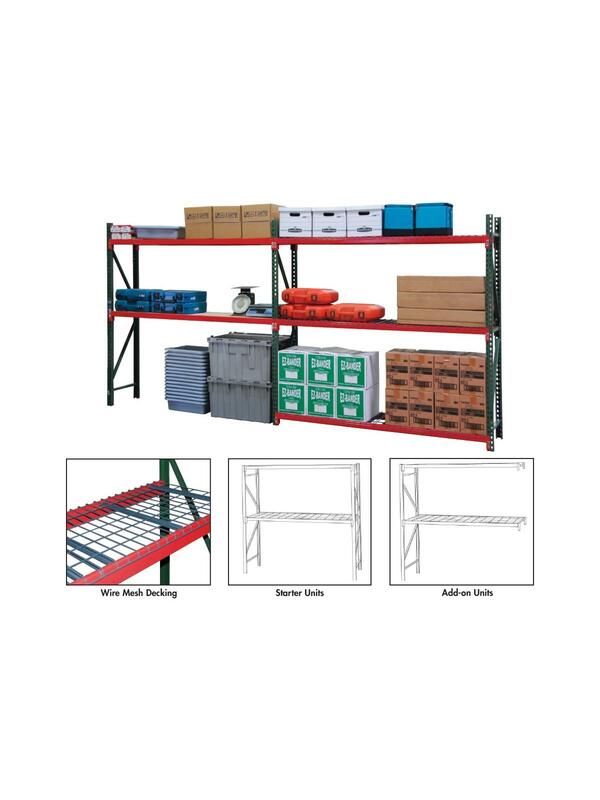 Save time and money with this heavy duty bulk storage rack. Featuring a heavy duty upright that can be "knocked down" for easier shipment as well as having the advantage of component replacement in case of damage. FastRak™ is ideal for storing bulky and/or heavy items with the unique ability to store items directly on the floor because it does not require a shelf at the bottom. Priced as 2 shelf units complete with wire mesh board decking. All units include our heavy duty 3" step beams. FastRak™ extra shelves sold separately. FOB Shipping Point. 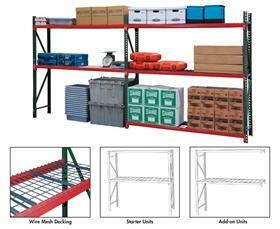 See Related Items tab for FastRak™ Bulk Storage with Particle Board Decking and FastRak™ Storage Rack - Extra Shelves.